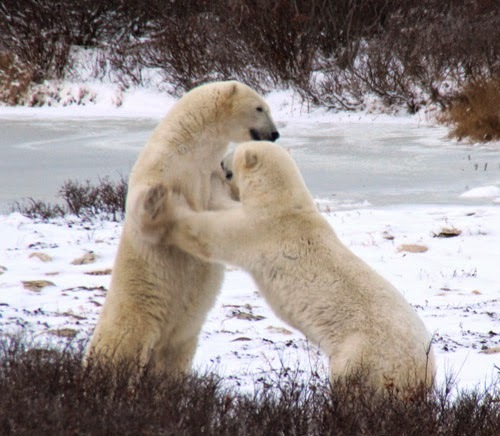 Sparring is a form of play-fighting for male polar bears. Read my story "How to Get Really Close to a Polar Bear" in NowU, USA Today publication, about traveling to Churchill, Manitoba, Canada to see polar bears in their natural habitat. 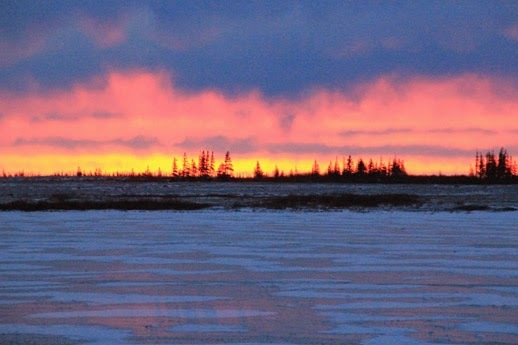 In addition to observing polar bear activities, we observed beautiful sunsets and sunrises in the frigid tundra climate. Sunset over the tundra landscape on our first excursion into the wild. Another bonus--we also saw the Northern Lights! 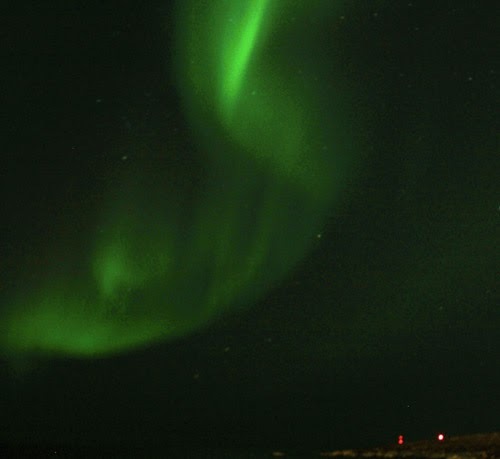 Spectacular green Northern Lights illuminate the cold, clear sky.